If I were traveling this July 4th week and perhaps passing through Ohio, I would probably drive out of my way to see what USA Today describes as a “bucket-list destination” in Cincinnati, Ohio—The American Sign Museum. It’s a natural fit for a sign business that does museum work, right? A museum filled with everything signage related. And I had heard about the museum before I saw the USA Today mention, but honestly didn’t think of it as a bucket-list item until now. 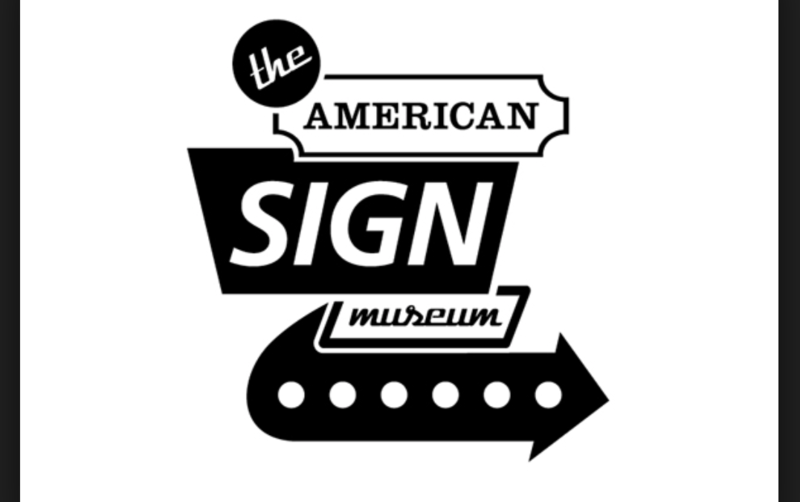 Then after reading the blurb my interest was piqued so I went to the American Sign Museum website. Wow! This place is a lot more than a museum dedicated to telling the more than 100-year history of American signage. It really embraces what I see as the mission of museums. It creates a place that is not only dedicated to sharing, in this case, the art and history of sign making, but also a space for cultural curiosity that brings people together. For example, this summer the museum is presenting a concert series, “Signs & Songs,” featuring some of the city’s top folk-blues, New Orleans jazz, and bluegrass bands. The museum also serves as a venue for weddings, etc. And it encourages visitors to become involved with its Save Old Signs project, which involves listing endangered signs, tracking restoration, and providing resources for preservation. Well, if I wasn’t convinced yet to make to add this to my bucket-list, I came across a blog, Bill on the Road, from a journalist Bill Clevlen, who travels across the Unites States finding “people and places making our country great.” In one of his many road trips, Bill’s must-see stop was the American Sign Museum. He says the “’save the best for last’ thing pretty much worked out the way it’s supposed to” on this trip. 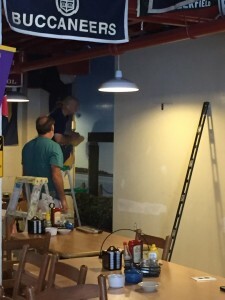 In the blog he describes the museum and interviews museum founder Tod Swormstedt. Now I’m convinced—road trip to Cincinnati soon. In Beaufort, restaurant guests look for local flavor, great food, and “a view of the water.” Blackstone’s Cafe easily satisfies an appetite for the first two. 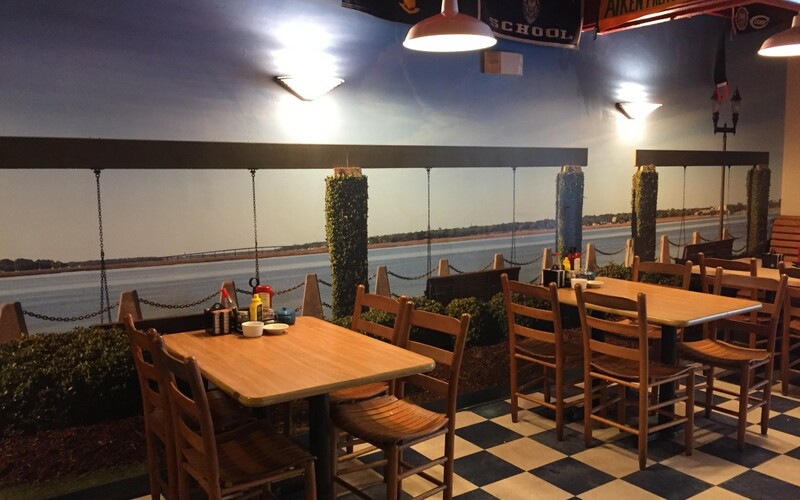 And now Blackstone’s offers scenic water views at the Scott Street location via custom wall murals. When the new owners purchased Blackstone’s recently, they envied the other downtown restaurants that overlook the Beaufort River. 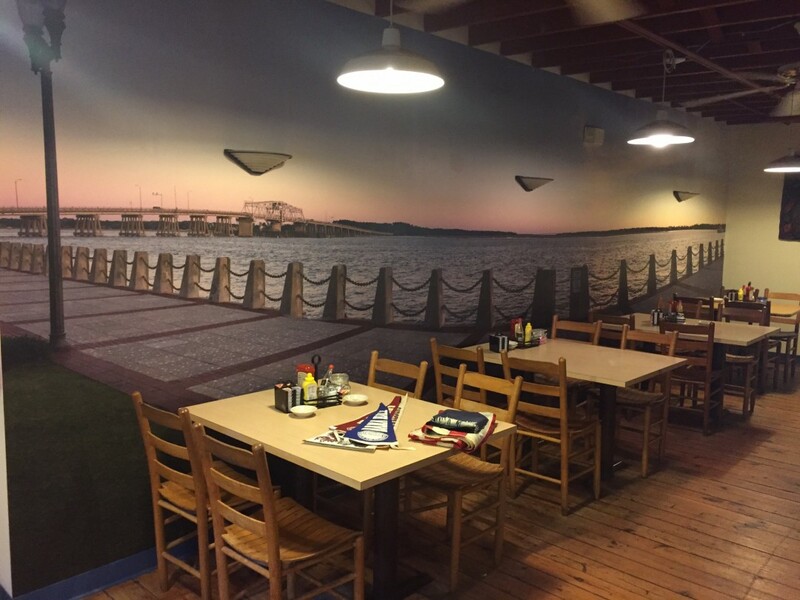 So they decided to create a waterfront dining experience with custom wall murals. 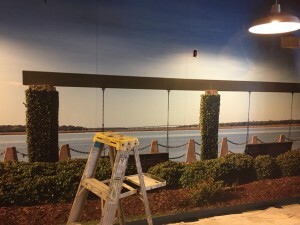 The idea is to provide a feel of waterfront dining without changing the character of the restaurant know for its alma mater flags and pennants. The owners worked with local photographers to capture the view from the Woods Memorial Bridge to the McTeer Bridge for the wall murals. The photographs were stitched and scaled to create floor-to-ceiling murals for both upstairs and downstairs walls. 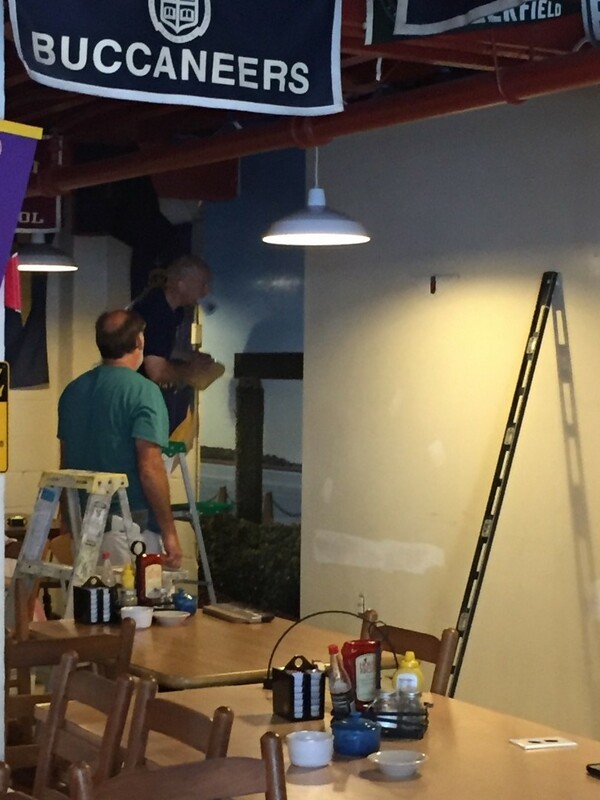 Once the correct size, the images were printed with HP latex inks on a commercial-grade Type II wallpaper. 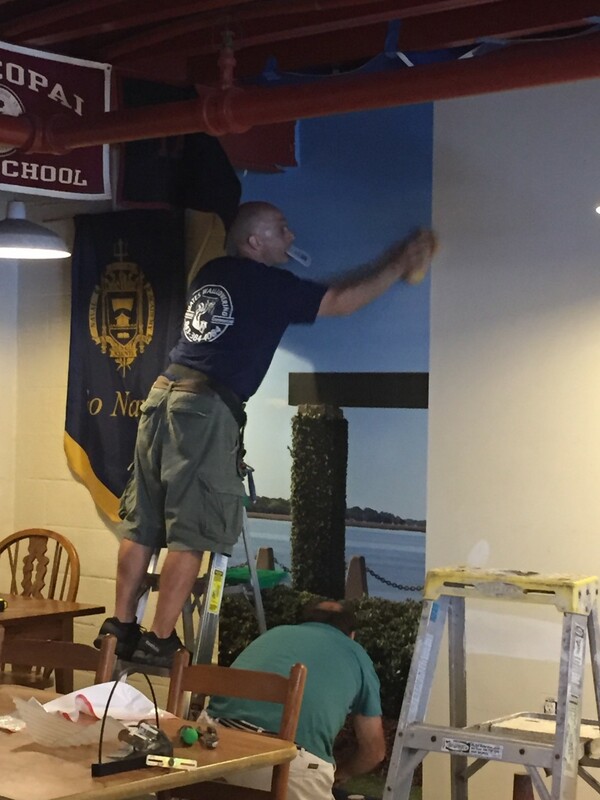 This type of wallcovering media meets industry criteria for scrubability, stain resistance, flame spread, colorfastness, and abrasion resistance. When combined with HP inks the wallcovering lasts indoors away from direct sunlight for up to 20 years. The wallcovering goes up with common adhesives and installation techniques. All of these factors were important to the new Blackstone’s owners.